Back by popular demand, the Pipes Alive! series continues with James R. Barry playing the St. John’s organ on Sunday, February 4 at 12:30 p.m. Jim is Director of Music and Organist at St. James’ Church, Glastonbury. His program, “Odds and Evens”, will explore compositions written in various meters, from the standard to the extraordinary. Selections include works by Susa, Bourgeois, Brubeck, and Rutter. Mr. Barry has been the accompanist for the Hartford Chorale since 1995, serving under three conductors and numerous guest conductors, and accompanying the Chorale on five international tours. He is Minister of Music at St. James’ Church (Glastonbury), Assistant Organist at St. Patrick-St. Anthony Church (Hartford), and staff accompanist at Farmington High School. In addition to earning degrees from the Rhode Island School of Design, the Hartt School, and Yale University, Mr. Barry studied organ with Edward Clark and Thomas Murray, and conducting with Marguerite Brooks. He has served as Director of Artistic Operations at the Hartford Symphony Orchestra. As Canon Precentor at Christ Church Cathedral (Hartford), he oversaw an active music program of choirs and concert events. Mr. Barry was organ soloist for Hartford Symphony Orchestra’s Aaron Copland Classical Conversations series. He has also played organ recitals at St. Thomas Church and the Cathedral of St. John the Divine (New York City), as well as Washington National Cathedral. 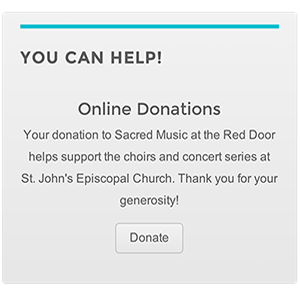 Choirs and soloists under his direction have collaborated on programs with Hartford Symphony Orchestra, Connecticut Opera, the Hartford Chorale, the Hartford Stage Company, South Church Music Series, Trinity College Concert Choir, and the Manchester Chorale. 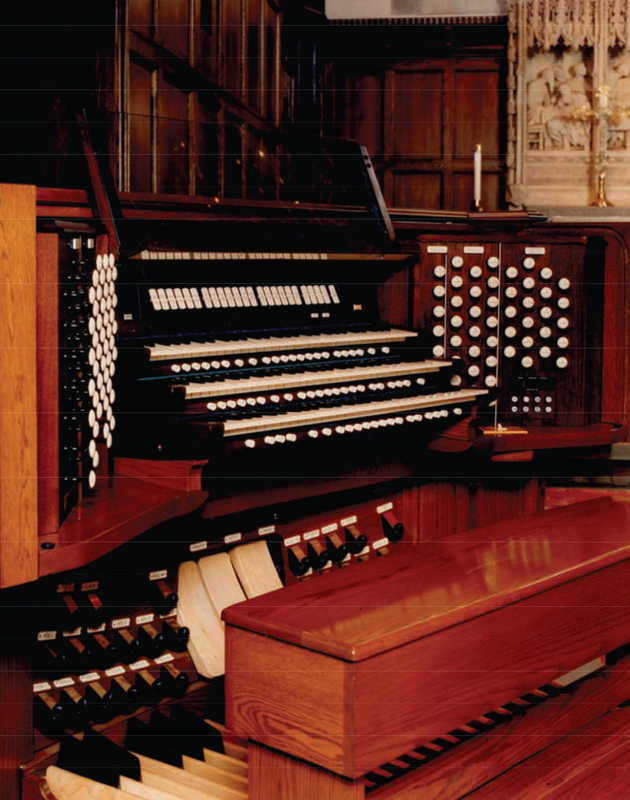 A member of the American Guild of Organists, he has served three terms as Dean of the local chapter, Region I Councilor, and twice on Hartford convention committees. He was elected Director-at-Large of the Association of Anglican Musicians and has helped with planning regional and national conferences. He is Chair of the CONCORA Friends of Bach Committee, and a Trustee of the Hartt School. Join us for half-hour organ concerts featuring St. John’s magnificent Austin pipe organ, on the first Sunday of the month, January through June, 12:30 p.m. with regional organists. Free! 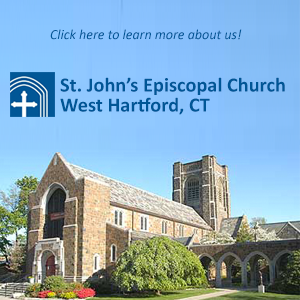 This concert is supported in part by the Marjorie Jolidon Fund of the Greater Hartford Chapter, American Guild of Organists.